A full changelog for our module can be found under the Documentation tab. Receive payments from your customers via Visa, Mastercard, Direct bank transfer with only one contract. We also offer invoice which requires a separate contract. With Payson you get access to two payment methods, Payson Direct and Payson Invoice. 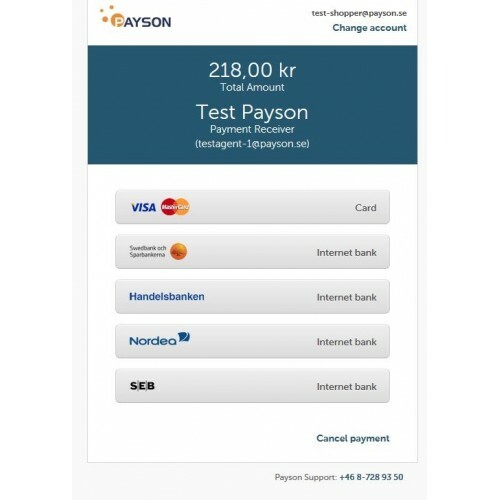 Payson works together with Visa, MasterCard and internet banks Swedbank, Handelsbanken, SEB and Nordea. 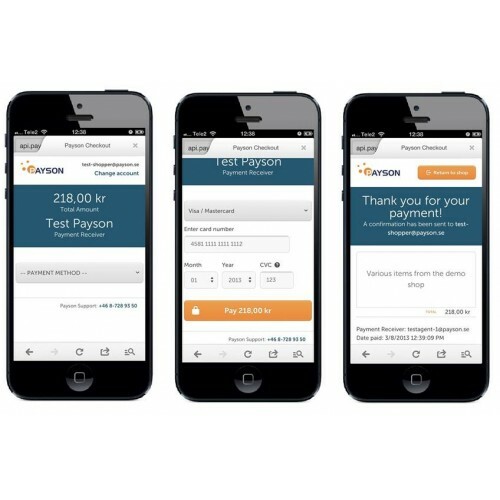 We accept payments in Swedish kronor and euro, and our services are available in swedish, finnish and english. Below are information regarding Payson Direct and Payson Invoice. You can chose to use only one of them in your store, or both at the same time. 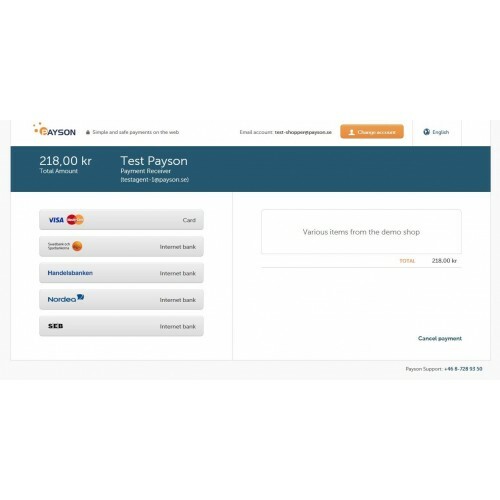 Payson direct Payson Direct enabled your customer to pay in an easy and quick way. In the same moment as your customer pays the money will be available in your Payson account and you can withdraw them whenever it fits you. Payson Invoice Offer your customers the choice to pay against an invoice. Payson handles the whole process, from credit check and sending of the invoice. to reminders and follow ups. You will always get paid and Payson takes all credit and fraud risk. 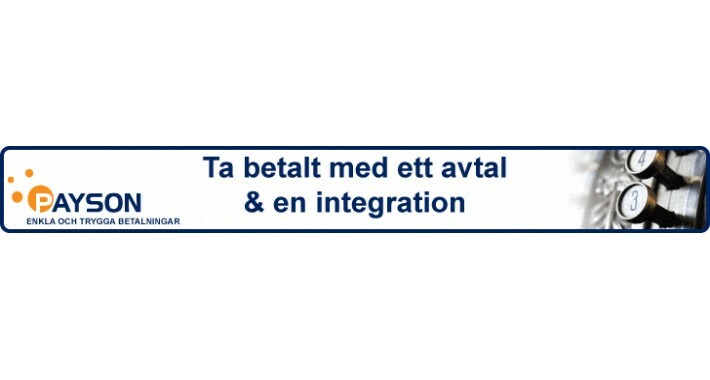 Please note that we no longer offer support for the module which integrates to opencart 1.5.X, however feel free to download it and adjust the module to support your store.